I was in Toronto, Canada in 2001. I was on route to Winnipeg for a cousin’s wedding but had a few days sightseeing in Toronto (also did Niagara Falls). I get easily inspired by things and at the time I was just a young traveller who worked in the local supermarket back home (Bangor, Northern Ireland) and was enjoying my first time in Canada. I wandered on my own round the University area, somewhere near Wellesley Street and Yonge Street intersection when I was truly inspired. 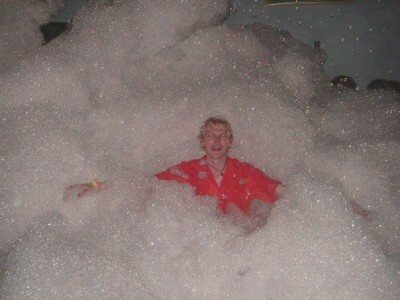 At a foam party in Toronto Canada – Birthplace of Don’t Stop Living! Graffitied onto an old High School wall was the simple but everlasting message “Don’t Stop Living”. I wrote it down in my travel notebook/jotter, I was inspired by it, I remembered it and I’ll never forget it. It was like life was giving me a message there and then. Something I should live by. 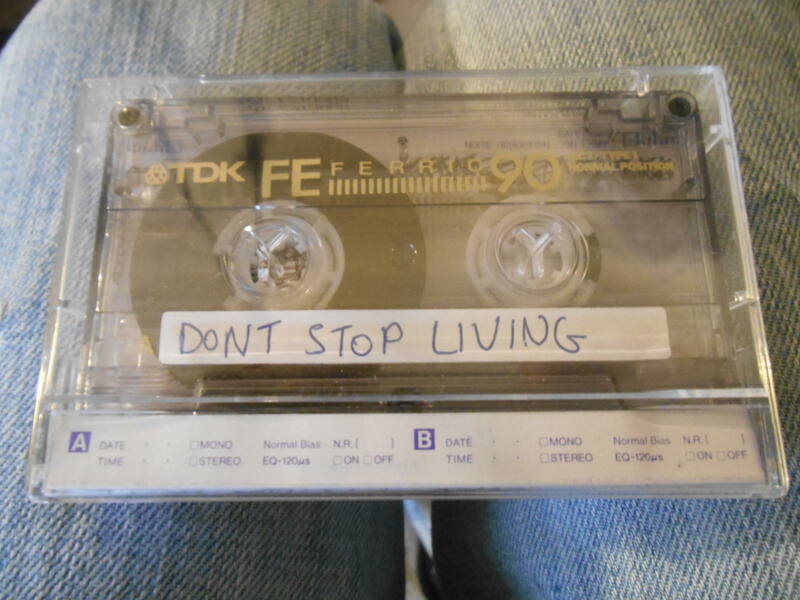 The message I was inspired by in 2001 was “Don’t Stop Living”. Things changed for me soon after that – I stopped working in the local supermarket, I started working in a local pub at nights, I got a job in a bank and had enjoyed the freedom of being in Toronto so much that I knew it wouldn’t be long until my next adventure. 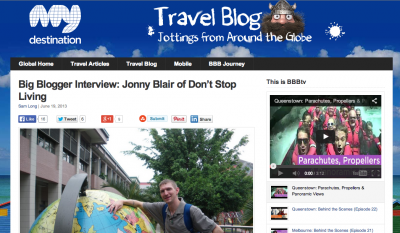 13 years on, and I’m now known occasionally as “Jonny from Don’t Stop Living”. It’s Jonny from Dont Stop Living! I have no doubt, the lyrics to the poem I wrote will be revealed at some point – probably long overdue, but finally thanks to whoever it was that wrote that graffiti on that wall in Toronto (visible there in August 2001). It’s a pretty profound and inspiring statement. Thanks for dropping by my friends, you’re most welcome. 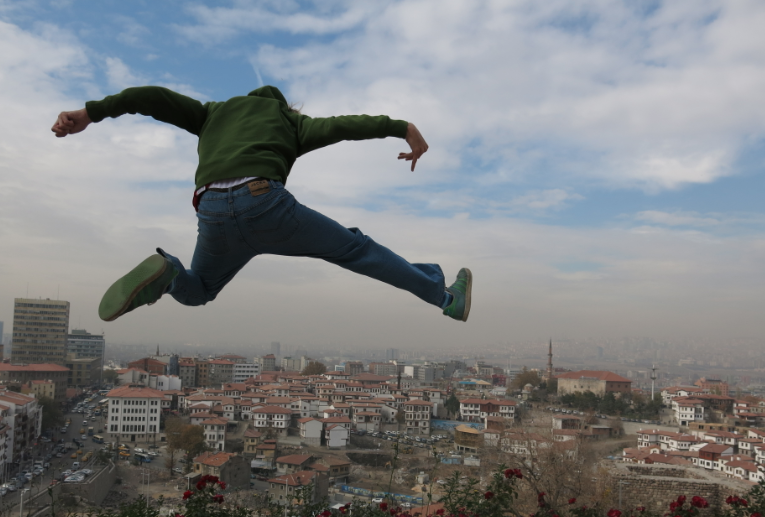 This entry was posted in Daily Features, Destinations, Dont Stop Living, Sunday's Inspiration. Bookmark the permalink. Okay, I know exactly where Yonge & Wellesley Street is. Now I just have to figure out which high school you are talking about, and then find that graffiti for you … if it still exists! Amazing what one person’s artwork did for you personally!